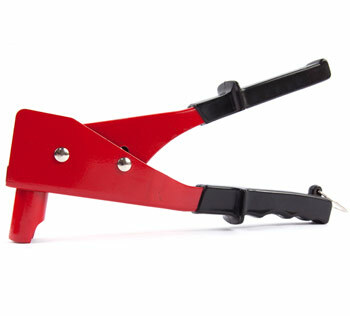 Ludwig's Hollow Wall Fastener Tool allows perfect expansion of fasteners for maximum strength. The all metal construction, with rubber hand grips, is fast and easy to use. It automatically adjusts for wall thickness without overcrimping and fits both sizes of fasteners.